Amazon: 25% or More Off Verus High Pro Shield Cell Phone Cases – Today Only! Head to Amazon.com where today only you can score 25% or more off Verus High Pro Shield Cell Phone Cases! 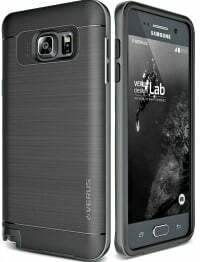 You’ll find a variety of highly rated cell phones cases to choose from to fit most any cell phone like this Galaxy Note 5 Case for Samsung Note 5 devices for just $11.99 (regularly $59.99) with FREE Super Saver Shipping! Go on over to find the cell phone case that fits your needs. This Amazon best bargain of the day is valid March 17 only and while supplies last.